Newcomer Family Obituaries - Alversa L Clifford 1931 - 2019 - Newcomer Cremations, Funerals & Receptions. 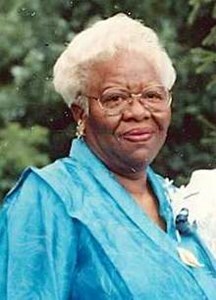 Alversa L. Clifford, 88, of Columbus, went to be with her Lord April 8, 2019. Alversa was born March 20, 1931 to James and Beatrice (Scott) Williams. She was a pianist and was known for her cooking skills. Alversa also enjoyed being a foster parent for a long time. She was a faithful member of Grace Missionary Baptist Church. She enjoyed traveling. Alversa loved spending time with her children and grandchildren. She was married to Joseph V. Clifford for 39 years. Alversa will be deeply missed by her; children James Clifford, Lailure Burton, Renee Leftenant, Jacquelyn (Gerald) Wright, Leanna Clifford-Terrell, Tiletha (Arthur) Franklin, Lori (John) Oglesbee; 15 grandchildren; 35 great-grandchildren; 4 great-great-grandchildren, cousin Iphagenia Smith, dear friends Ann Willis, Trucilla Berger, Naomi Bailey along with many other family and friends. Alversa was preceded in death by her parents and husband. Visitation will be Tuesday, April 16, 2019 from 11am to 11:30am at Grace Missionary Baptist Church 1182 N. 6th St. Columbus. Funeral services will follow at 11:30 at the church with Pastor Kevin J. Miller officiating. Burial will be at Greenlawn. Add your memories to the guest book of Alversa Clifford.